Expedia can help you save loads with a Fontenay-le-Comte vacation package. With all that extra money in the bank, you might even like to lock in a few more nights. Smart vacationers who book a package deal on Expedia can save up to C$590*. You won't need to search different websites to secure your travel bookings. With more than 400 partner airlines and 321,000 properties worldwide, our international database has it all. You can cancel or change almost any hotel reservation and you won't pay a cancellation fee to us. Itinerary looking a little thin? Fontenay-le-Comte vacation all organized but don't know what to expect when you arrive? Let us make it simple. If you'd like to find a little spiritual enlightenment on your travels, swing by Notre Dame de Fontenay le Comte. You never know, you might even find the answers to some of life's most essential questions! Travelers in this destination are spoilt for choice. Roam around the age-old rooms and corridors of Chateau de Terre Neuve. This grand fortification offers an informative day trip for both adults and children. Still have time on your hands? Abandon your history journals! Witness the past come alive at Museum of Fontenay. After luxury getaways or cheap vacations in Fontenay-le-Comte? Expedia has only 3 properties, so right now's the time to book your room. The Le Rabelais (19 Route de l'Ouillette) and the Hotel Fontarabie (57 Rue De La Republique) excellent accommodation options. 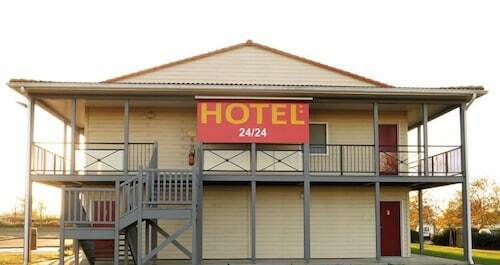 Why not check out the services and amenities and then select one? Niort Airport (NIT) is the gateway for most visitors taking a trip to Fontenay-le-Comte. It's situated 20 miles (32 km) from the heart of town. 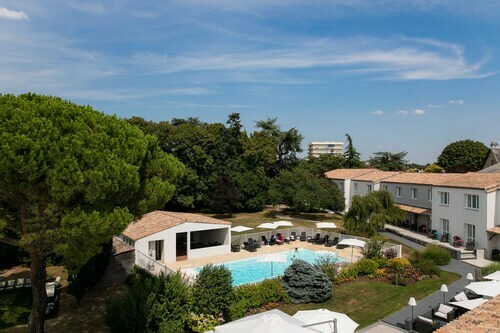 Situated in Fontenay-le-Comte, this hotel is within 1 mi (2 km) of Marais Poitevin Regional Nature Park, Notre Dame de Fontenay le Comte, and Museum of Fontenay. Chateau de Terre Neuve is 1.4 mi (2.2 km) away. Fontenay-le-Comte Station is 7 minutes by foot. Situated in Fontenay-le-Comte, this hotel is within a 10-minute walk of Marais Poitevin Regional Nature Park, Notre Dame de Fontenay le Comte, and Museum of Fontenay. Chateau de Terre Neuve is 0.8 mi (1.3 km) away. Fontenay-le-Comte Station is 9 minutes by foot. 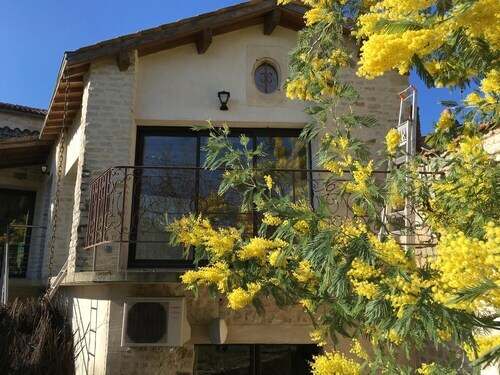 Located in the heart of Fontenay-le-Comte, this bed & breakfast is steps from Marais Poitevin Regional Nature Park and Notre Dame de Fontenay le Comte. Museum of Fontenay and Chateau de Terre Neuve are also within 15 minutes. Fontenay-le-Comte Station is 17 minutes by foot. 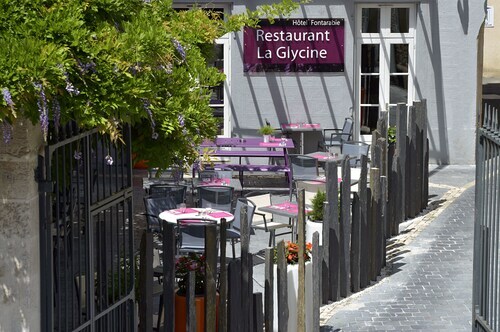 Situated in Fontenay-le-Comte, this hotel is 0.1 mi (0.1 km) from Marais Poitevin Regional Nature Park and within 3 mi (5 km) of Notre Dame de Fontenay le Comte and Museum of Fontenay. Chateau de Terre Neuve is 2.2 mi (3.5 km) away. Situated in Fontenay-le-Comte, this guesthouse is within a 10-minute walk of Marais Poitevin Regional Nature Park, Notre Dame de Fontenay le Comte, and Museum of Fontenay. Chateau de Terre Neuve is 0.4 mi (0.7 km) away. Fontenay-le-Comte Station is 21 minutes by foot. Located in the heart of Fontenay-le-Comte, this property is within a 15-minute walk of Marais Poitevin Regional Nature Park, Notre Dame de Fontenay le Comte, and Museum of Fontenay. Chateau de Terre Neuve is 0.9 mi (1.4 km) away. Fontenay-le-Comte Station is 6 minutes by foot. 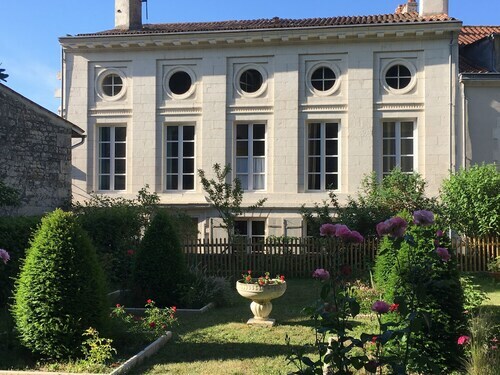 Situated in Fontenay-le-Comte, this bed & breakfast is steps from Marais Poitevin Regional Nature Park, Museum of Fontenay, and Notre Dame de Fontenay le Comte. Chateau de Terre Neuve is 0.5 mi (0.8 km) away. Fontenay-le-Comte Station is 18 minutes by foot.